Marilyn Tavenner, president of America's Health Insurance Plans, testifies before a Senate committee Feb 1. Health insurers can't commit to selling plans through the Affordable Care Act's marketplaces in 2018 until they have at least an inkling of what the future holds for the health insurance landscape. So far, President Donald Trump's administration has yet to unite behind a particular ACA replacement plan. It's unclear if insurers will get the details they need any time soon, raising questions about whether a mass retreat of insurers from the exchanges is on the way. If that happens, millions of people enrolled in the marketplace may be left without an insurer and forced to switch plans. Molina Healthcare CEO Dr. J. Mario Molina says without premium and cost-sharing subsidies "our members simply can't afford this insurance." Aetna, Anthem and Cigna this week all said they can't decide on future participation until they have an idea of the regulations that will be issued under the next iteration of healthcare reform. That the three are wavering isn't surprising. They each have lost money from the plans they've sold through the insurance exchanges. But even some insurers that have fared better in the marketplaces aren't sure if they'll stick around. Molina Healthcare, which covered about 570,000 marketplace members as of Sept. 30, said this year that it expected to break even in its exchange business for 2016. 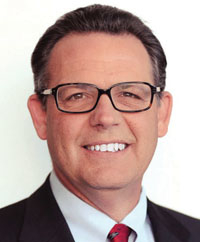 Still, the Long Beach, Calif.-based insurer is reluctant to throw its hat into the ring for 2018. “There are a number of unknowns, and there are things we need help with,” Molina CEO Dr. J. Mario Molina said in an interview. For one, the insurer needs a guarantee that the ACA's cost-sharing reductions and premium subsidies that help low-income people afford insurance will still be available next year. Even if Republicans move aggressively to shore up the individual market as they repeal and replace the ACA, health insurers say they're running out of time to make business decisions that will affect the coverage for millions of Americans next year. “If we can't see stability going into 2018 with respect to either pricing, product or the overall rules of engagement, then we will begin making some very conscious decisions with respect to extracting ourselves,” Anthem CEO Joseph Swedish told investors. Indianapolis-based Anthem's CEO Joseph Swedish told investors Feb. 1 “we need certainty” that measures will be put in place to keep the individual market afloat and keep people insured as the new administration works to dismantle and replace the healthcare law. He's looking for short-term fixes that will stabilize the market while Congress figures out a replacement plan. “If we can't see stability going into 2018 with respect to either pricing, product or the overall rules of engagement, then we will begin making some very conscious decisions with respect to extracting ourselves,” Swedish said. Aetna and Cigna sang a similar song. Aetna CEO Mark Bertolini told investors the insurer would have to have “markets worked up, prices worked up” by April to determine whether it will play in the marketplaces in 2018, and “there is no possible way we'd be prepared to do that given the unclear nature of where regulation is headed.” Aetna currently sells marketplace plans in four states. Cigna CEO David Cordani also said the insurer, which offers exchange plans in seven states, would make a decision when rules and regulations become clear. Not all health insurers are so reluctant, however. Centene, for example, told Bloomberg this week that it will keep offering exchange coverage as long as the markets don't deteriorate come September or October. The St. Louis-based insurer, which deals primarily in Medicaid, is one of the insurers performing better in the marketplaces. And local not-for-profit health plans that have a mission to serve their communities also want to keep offering marketplace coverage as long as they're financially viable, observers say. Insurers “want to know if they're going to be profitable” in the long run, said Craig Garthwaite, a health economist at Northwestern University. If insurers think it's too much of a gamble and pull out, more markets could have just one insurer and some could have none. Insurers are urging Congress to maintain certain policies to ensure the individual market stays afloat and affordable during the transition period to an ACA replacement plan. The two things most critical to keep in place are the subsidies and the requirement that individuals enroll in insurance or else pay a penalty, said Sabrina Corlette, senior research fellow at the Center on Health Insurance Reforms at Georgetown University. An assurance that those two policies will be maintained “would be a very important signal to the carriers that this market is not going to deteriorate in 2018,” she said. Without them, health insurance premiums would skyrocket and marketplace enrollees wouldn't be able to afford insurance. Health insurers would head for the exit. 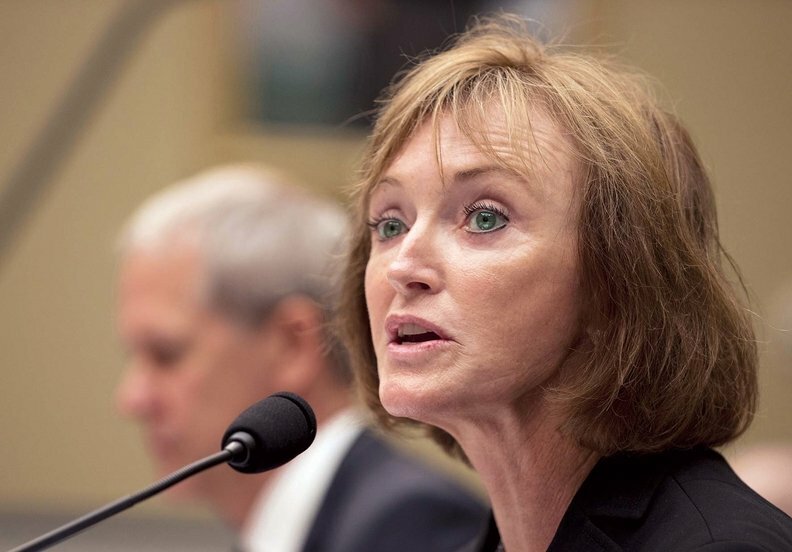 During a Senate committee hearing Feb. 1, Marilyn Tavenner, president and CEO of the lobbying group America's Health Insurance Plans, also insisted that the individual mandate—though unpopular—must continue to be enforced. “As long as current market rules that prohibit the exclusion of pre-existing conditions, require guaranteed issue of insurance policies, and impose community rating requirements on insurers remain in place, there is a corresponding need for incentives for people to purchase and keep continuous coverage,” she said. Anthem's Swedish called for some short-term fixes, including repealing the health insurance tax; extending transitional health plans indefinitely; tightening up the special enrollment periods; requiring enrollees to pay outstanding premiums after premium-grace periods before enrolling in new coverage; and keeping changes finalized in December to the ACA's permanent risk-adjustment program, which transfers money from insurers with lower-cost enrollees to companies that have higher-cost enrollees. Insurers have complained that the risk-adjustment program is heavily flawed and harms smaller plans. 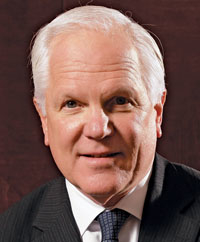 Molina's CEO said the insurer has been returning 25% of its premium revenue under that program. “We're doing an awful lot of work for something that's not generating profit,” he said. Congress has taken steps to address some of these issues. Earlier this week, House Republicans introduced four bills meant to stabilize the individual insurance market while they repeal and replace the ACA. They address the special enrollment and grace periods, while also giving insurers greater leeway to charge more to older plan members. Insurers, however, want more. Come March, they'll be crunching the numbers to determine if they can remain in the marketplaces and be profitable.